Every year, the West burns. It burns so much that in my mind, I can't fathom how there is anything left to burn. And every year, I listen to the news and all you hear about is whether or not structures were destroyed or people were injured or killed. Very rarely is the massive amount of habitat loss discussed, let alone the toll on flora and fauna. It's obvious that larger animals are displaced and or killed by wildfires. Baby birds and other arboreal animals that cannot effectively flee are likely burned to death and/or asphyxiated by smoke. And I always wonder about the herps. I would imagine many are able to survive burns by being underground, under rocks, logs etc. But I still wonder about survival in the fire ravaged "wasteland" once the fire danger has passed. Obviously, much of their food has been destroyed or displaced. Anyway, I am wondering, is anyone aware of any studies that have taken place regarding herp survival/mortality during/post wildfires? There have been many studies on the affects of fire on plant and animal life. But to keep this response fairly short, all you need to know is that where fire has occurred, there are successional processes in which both plant life and animal life have the capacity to recover and repopulate the burnt areas. Since N.A. became colonize by ‘immigrants’, fire suppression has taken place. So today’s fires likely are not anywhere near as large as were fires that occurred in past history where they burned on and on until natural factors finally put a stop to them. There should be little concern for any long term effects of fire on either plants or animals as invariably over time, they recover. We have a perfect example of this in the Northwest where Mt. St. Helens in Washington State, blew up and killed of all or most plant and animal life for miles. The recovery of the environment in that region has been rapid even surprising some scientists. In another example, here in New Mexico we have the largest continuous stretch of riparian woodland left in the west, the middle Rio Grande bosque. Succession in this ecosystem was traditionally started by catastrophic flood events. Fire is thought to have rarely occurred because annual spring flooding kept the understory moist and aided in decomposition of dead woody fuels. Enter "modern" humans with our flood control and irrigation and now the river no longer experiences large scale floods in the spring. We have introduced non-native trees like salt cedar and fusion olive which grow thick in the understory and provide ample fuel for wildfire. That ecosystem now burns frequently, usually fires are human caused (fireworks, campfires, even outright vandalism). They burn hot and the native cottonwoods and willows are poorly adapted to fire. They are usually killed outright. Salt cedar on the other hand is very well adapted to fire and quickly stump sprouts after a blaze to form impenetrable thickets that promote even more wildfires and are of poor quality for most wildlife, including most herps, (though western diamond-backs seem to do well in them). Further west, in parts of the Sonoran desert, the introduction of cheat grass gas allowed wildfires to burn in another ecosystem in which fire was not a frequent component before. The desert plants are often poorly adapted to fire and are killed by the flames. I don't have any specific info on how these fires have effected herp there. Maybe someone that lives in Arizona will chime in on that one. In another example, here in New Mexico we have the largest continuous stretch of riparian woodland left in the west, the middle Rio Grande bosque. Succession in this ecosystem was traditionally started by catastrophic flood events. Fire is thought to have rarely occurred because annual spring flooding kept the understory moist and aided in decomposition of dead woody fuels. Enter "modern" humans with our flood control and irrigation and now the river no longer experiences large scale floods in the spring. We have introduced non-native trees like salt cedar and Russian olive which grow thick in the understory and provide ample fuel for wildfire. That ecosystem now burns frequently, usually fires are human caused (fireworks, campfires, even outright vandalism). They burn hot and the native cottonwoods and willows are poorly adapted to fire. They are usually killed outright. Salt cedar on the other hand is very well adapted to fire and quickly stump sprouts after a blaze to form impenetrable thickets that promote even more wildfires and are of poor quality for most wildlife, including most herps, (though western diamond-backs seem to do well in them). Further west, in parts of the Sonoran desert, the introduction of cheat grass grass allowed wildfires to burn in another ecosystem in which fire was not a frequent component before. The desert plants are often poorly adapted to fire and are killed by the flames. I don't have any specific info on how these fires have effected herp there. Maybe someone that lives in Arizona will chime in on that one. Richard F. Hoyer wrote: There have been many studies on the affects of fire on plant and animal life. But to keep this response fairly short, all you need to know is that where fire has occurred, there are successional processes in which both plant life and animal life have the capacity to recover and repopulate the burnt areas. Hi, Richard. I appreciate your reply, however, I personally feel this is an overly simplistic, and a most overly optimistic consensus. Of course, animals and plants have a "recovery plan" that takes place after wildfires. And of course historically, there were many benefits to wildfires. But, I feel this whole process does not work well when we are talking about large scale fires that further fragment already greatly fragmented habitat. And my question is really about herp populations and how fires directly affect them. bgorum wrote: Further west, in parts of the Sonoran desert, the introduction of cheat grass gas allowed wildfires to burn in another ecosystem in which fire was not a frequent component before. The desert plants are often poorly adapted to fire and are killed by the flames. I don't have any specific info on how these fires have effected herp there. Maybe someone that lives in Arizona will chime in on that one. Bgorum, thanks for your reply. Your info is interesting. And I live in Reno, where cheat grass is a major factor as well. This past winter we got an incredible amount of precipitation, and as a result, the already bad cheat grass problem only got worse. There have been at least half a dozen wildfires in the last 2 weeks in Washoe County, burning through the foothills of Reno, fueled by cheat grass. We have a fairly diverse population of high desert dwelling herps that must be directly affected but these large burns. I would imagine most herps can take refuge underground to avoid the heat and smoke, as these fires burn rapidly and probably only force the animals into refuge for 12-24 hours. But once they emerge, they come up to a landscape that is not the same, often for many, many miles. And I wonder how they react to this specifically. Do they wait it out? Do they move across large areas to find more suitable habitat, food and water? Do they aestivate for the season? These are the questions I wonder about. As with all disturbances, there are winners and losers. Some species respond positively, others negatively. For example in the Great Basin, cheatgrass has major negative effects on horned lizards due to the loss of open spaces between shrubs. More frequent fire cycles equates with more cheatgrass and less horned lizards. Severe fires can directly kill herps too. There is good paper on some of the severe effects of high intensity fire on montane rattlesnakes which are projected to drive some populations to local extinction. At higher elevations in the Great Basin, native vegetation recovers quickly and the flush of productivity benefits small mammal , which should increase rattlesnake reproduction. Most of what we know about fire impacts on herps is pretty anecdotal. Its a difficult process to study in a controlled, statistically valid manner. Bryan Hamilton wrote: As with all disturbances, there are winners and losers. Some species respond positively, others negatively. For example in the Great Basin, cheatgrass has major negative effects on horned lizards due to the loss of open spaces between shrubs. More frequent fire cycles equates with more cheatgrass and less horned lizards. Severe fires can directly kill herps too. There is good paper on some of the severe effects of high intensity fire on montane rattlesnakes which are projected to drive some populations to local extinction. Interesting, thanks for the reply, Bryan. Can you explain how more frequent fires adds to the cheatgrass problem? Thinking about it simply, you would think burning off the cheatgrass would help eliminate it, but you are saying fires add to the spread of cheat grass. Do the fires somehow stimulate the grass to go to seed more often or frequently? My knowledge of this subject is limited, but I imagine a majority of herps would be underground during a fire and would likely survive. Back in 2009 Southern California experienced the Station Fire in the San Gabriel Mountains which burned over 160,000 acres. I remember visiting the burn area a few weeks after public access was allowed and seeing lots of lizards and a couple gopher snakes. I also know that people have been seeing snakes in not bad numbers recently in South Arizona in the area where the Sawmill fire burned in late April. How those animals survive with a lack of plant and insect life, I don't know. As Bill said, fire suppression is a big problem here where I am in Southern Calfornia. Much of Southern California ecosystems, especially the Chaparral and semi - arid scrub relies on periodic burns for proper growth and nutrients. Every time there's a fire here, fire crews are so paranoid about the fire hitting mountain/foothill homes that fires can never freely or naturally burn. In reality, however, this builds up undergrowth and accumulates massive amounts of dead annuals like grasses and in the long run makes it so much harder to control or tackle wildfires. They are so hot and have so much fuel to go through that they can't really be stopped, as we saw with the Station fire. Not to change the topic, but maybe something to add on, I wonder what effects if any fire retardant that is dropped by planes/helicopters have on herps and other animal/plant life. Recently there was a fire at a field station owned by the Claremont Colleges, and the field station owner (a biologist) managed to tell La county fire not to use any retardant only water. I'd be curious to know what chemicals go into some of the classic red foam / powder we see being dropped. 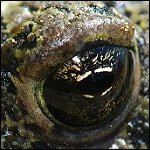 Jeremy Wright wrote: Not to change the topic, but maybe something to add on, I wonder what effects if any fire retardant that is dropped by planes/helicopters have on herps and other animal/plant life. Recently there was a fire at a field station owned by the Claremont Colleges, and the field station owner (a biologist) managed to tell La county fire not to use any retardant only water. I'd be curious to know what chemicals go into some of the classic red foam / powder we see being dropped. This is another aspect I wonder about too. Everytime I see the videos of the red foam coming down, I wonder what the hell that stuff actually is and like you said, what it does to flora and fauna. Does anyone know if the stuff is persistent or toxic in any way? Cheatgrass is an annual plant and most native species are perennial. Cheatgrass itself is dead when fires burn but it has a lot of propagules in the soil. The fires kill the native perrenial plants. Everybody regenerates from the seed bank. With frequent fire cycles (5-10 yearish), cheatgrass dominates the seed bank and becomes the only plant in the community. Cheatgrass also fill the spaces between shrubs which increases fire likelihood, rate of spread and area burned. Jimi Gragg once told me that whichever plant seed gets to a site first, is more likely to establish (whoever gets there first wins). Cheatgrass seed is everywhere so it usually wins. Land management agencies have gotten a lot more aggressive with seeding efforts and so we are doing a better job of getting native or desireable species on the ground following fires. It used to take a year or two to get the bureaucracy moving on seeding but now seeding is usually done the winter following fires. Regarding the retardant, I don't know what is in it. I know on fires a lot a effort goes into keeping it out of water, streams, wetlands and riparian areas. I think its pretty harmless on the ground and on terrestrial vegetation. It usually fades and disapears within a year or two of being dropped, even in arid environments. Thanks for the info. I hate the damn cheatgrass. It's everywhere here in Reno, and damn near impossible to go hiking without coming back with loads of hitchhikers in your socks and laces. Even my dogs spread it around...nasty stuff! This is anecdotal but somebody else may have corroborating knowledge, Ive run across WC box turtles, separately encountered specimens, that had mark/marr on rear shell, carapace, rear marginals, that I thought to myself was fire damage. There are all kinds of interesting signature scars on box turtles, dentition sets, survived fractures, but these i could think of no other thing that could cause it. That they did manage to find escape from the heat its remarkable. Again it could be something else. But just sayin. Yeah I think box turtles are one of the more vulnerable species. I believe they are shallow hibernators and are even vulnerable from late fall to early spring when most herps are deep enough to be protected from fires. Box turtles are so cool and the old ones have seen some stuff man. I have photos of blacktail rattlesnakes gopher snakes and tortoises after a fire here in Az. Sharrack wrote: I have photos of blacktail rattlesnakes gopher snakes and tortoises after a fire here in Az. While I don't live out west and therefor my experience with fire very limited I still felt like contributing at least some of my own personal experience. It is true that fire suppression and a changing climate have made fires in recent years much worse than what they would be without human involvement. That being said in some cases fire is a benefit to the ecosystem and some species require it to survive however these are in areas that fire has been a natural occurrence for millennia as Bill and Jeremy have already touched on. Last fall much of the Southeast was in a record drought that was accompanied by similar record breaking fires including several in the Southern Appalachians. Much of the land that got burnt was made up of mesic and very moist forests that hardly ever experience fire. I recently took a herping trip those areas and actually visited a 5000+ mountain that was heavily charred with acres of dead trees. 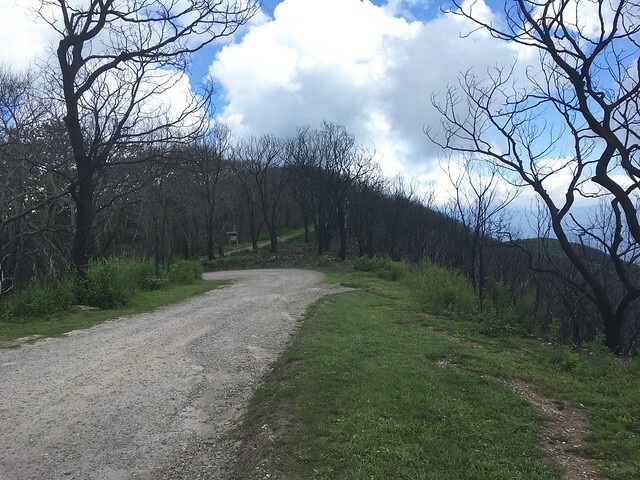 This scale of damage at such a high elevation is unheard of in this area and I was amazed to still find Red-legged and Ocoee salamanders in areas where the ground was charred. I believe that the prolonged drought sent many of these moisture needing species into deep aestivation and not many perished in the fire itself, but this unexpected weather may have caused a higher starvation rate while avoiding the fires or later in winter while hibernating. You could also tell that even the low temperature ground fires had disrupted the natural ways and killed native species like Eastern Hemlock and Rhododendron which may allow invasives like Kudzu to take hold. More like "Human Baaaaad" if you ask me. kevin h wrote: More like "Human Baaaaad" if you ask me. Cheatgrass is an annual plant and most native species are perennial. Cheatgrass itself is dead when fires burn but it has a lot of propagules in the soil. There are lots of native annual forbs and I think a few grasses too, but many have been locally extirpated due to - presumably - one or more of these stressors: historical grazing practices, fire suppression, biophysical site conversion (due to e.g. wind erosion of the soil, drainage due to channel downcutting, etc), loss of pollinators, climate change, etc etc. Cheatgrass' seed dormancy is pretty limited - I believe germination drops off rapidly at about 3 years and is very, very limited after 6-7. So it could be that long hard droughts (of the type we expect to see more of, due to climate change) really set it back locally to regionally. Unfortunately cheatgrass travels great in windy frontal passage, sheep wool, tire treads etc. So it's a great recolonizer too. The fires kill the native perrenial plants. Everybody regenerates from the seed bank. This depends. Some native perennials & woodies resprout readily, others resprout weakly as a rule, or variably based on genotype, others are flat-out killed by fire. Vigorous resprouters often don't rely much on sexual reproduction - seed production, germination, and establishment events might occur once or twice a decade. Recovery from fire has an interaction with herbivory, in palatable species. A resprouting plant that has been top-killed needs to "make a bank withdrawal" from its underground reserves. The new growth is the photosynthesis "factory" that allows the "bank account" to be replenished. If the "factory" is eaten too much, the bank is not replenished, and future withdrawals are necessarily going to be weaker. This principle works whether you're trying to increase something desirable, or reduce something undesirable. With frequent fire cycles (5-10 yearish), cheatgrass dominates the seed bank and becomes the only plant in the community. Cheatgrass also fill the spaces between shrubs which increases fire likelihood, rate of spread and area burned. ...whichever plant seed gets to a site first, is more likely to establish (whoever gets there first wins). Cheatgrass seed is everywhere so it usually wins. Once you have established a strong resprouting-perennial understory (grasses & forbs) you can breaking the too-frequent fire cycle. Perennials can outcompete and dominate (not completely exclude, but adequately suppress) invasive annuals. But they need to be dense enough, and have strong enough underground reserves, to do so. And of course, some places still have a strong resprouting understory so don't need to be seeded after fire. Rested from grazing for a time, yes, but otherwise not rehabbed. Land management agencies have gotten a lot more aggressive with seeding efforts and so we are doing a better job of getting native or desireable species on the ground following fires. It used to take a year or two to get the bureaucracy moving on seeding but now seeding is usually done the winter following fires.